Nevaeh's Beauty Bar & Salon LLC. started as Nevaeh's Virgin Hair Boutique, a Virgin hair and Custom Wig Superstore in Buckhead. We decided to expand our brand and open a full service beauty bar and offer more products and services to our loyal clients. At our new location it's a One Stop Shop!! We will offer hair styling services, custom wigs, Virgin hair, lash/brow services, nails, and makeovers including complete makeup applications. Ask about our bridal packages, special events, or special occasions makeovers. We will also host fashion shows, DIY tutorials, seminars, and charity events throughout the year. Mission Statement: It is our mission at Nevaeh’s Beauty Bar & Salon LLC. to provide our clients with the highest degree of customer service in a professional and unique setting. Nevaeh’s Beauty Bar & Salon LLC. 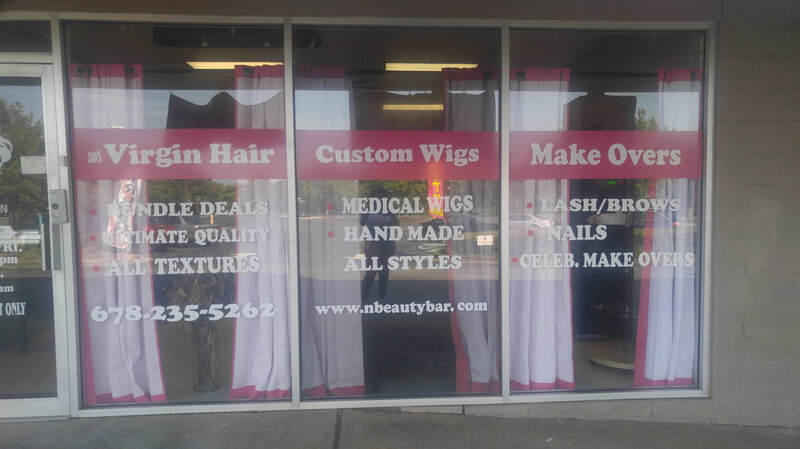 is a Full Service Upscale Beauty Bar, offering 100% virgin hair extensions, custom/medical wigs, nail services, skin care services (including facials, lash, brow) and celebrity makeovers in addition to cutting-edge hair styling and color. As a client you will experience the "Star Treatment" during each and every visit. We strive for excellence and are always "Committed to a Higher Standard." We are always searching the industry marketplace for the newest technology, advanced training, and the finest in hair care products. Schedule your appointment today and let us give you the Ultimate V.I.P Treatment. Nevaeh's Beauty Bar & Salon LLC. is an extension of Nevaeh's Virgin Hair Boutique. Our founder has over 20 years of experience in the Hair and Beauty Industry and comes with a plethora of knowledge and hands on experience working with some of the best in the Industry. Our founder has styled and created many custom wigs for clients all over the world including Well known A list celebrity clientele. Join us for the Ultimate VIP Hair and Beauty Experience! Now Open since May 2017!! !